On the AMC network series Turn Simcoe is portrayed as the effete, almost depraved, military commander of an occupying army. 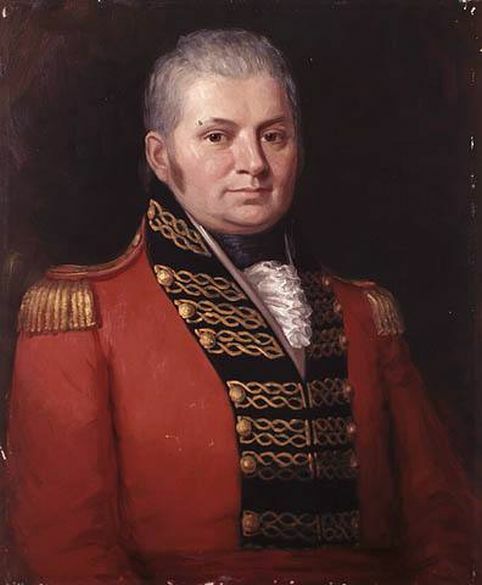 While the nature of his true character may be lost in the mists of time, it is a matter of historical fact, conveniently overlooked by Hollywood screenwriters, that John Graves Simcoe was a man ahead of his time. Way, way ahead of his time: when he was stationed in the eastern English colonies Simcoe saw the potential of turning freed black slaves in Boston into fighting men to aid his cause. In fact, he petitioned his British commanders to do just that. The request, however, fell on deaf ears and was denied in 1777, ninety six years before the raising of the 54th Massachusetts Volunteer Infantry, the first all-black Regiment created at the height of the Civil War, whose heroic actions did not escape Hollywood, and whose courageous frontal assault on Fort Wagner South Carolina was immortalized in the movie Glory starring Morgan Freeman and Denzel Washington. My thoughts, and my heartfelt thanks, turned to Simcoe earlier this Thanksgiving Week as I watched the town of Ferguson, Missouri burn in living colour on CNN. How else to explain that lurid violence, the racial mistrust, if not America’s all too recent history of slavery and Civil War, followed by the disaster of Reconstruction, and Jim Crow? At the risk of sounding complacent (one might not to want to look too closely at our treatment of our own aboriginal peoples), it’s not like that up here, and we have John Graves Simcoe to thank for it. Partly, no doubt, because the climate militated against the labour-intensive planter economy of the American Deep South, slavery never really gained a foothold in what would become Canada, and by 1810 Simcoe had engineered passage of a law outlawing slavery outright throughout the colony. Let me repeat that: Simcoe ensured the illegality of slavery here in 1810. The entire British Commonwealth would not follow suit until 1833, when “the peculiar institution” was outlawed in England and in all her overseas possessions. In the much-lauded movie Lincoln we saw the Americans grappling to do the same thirty years later, and even then only when in the throes of a bloody Civil War. These dates, these years, matter. The young people hurling bricks at the police in the streets of Ferguson are likely the great-grandchildren of slaves. The older folk beside them almost certainly are. The memories, the deep scars, left by the fact your granddaddy flat-out owned my great-granddaddy, owned my great-grandmomma, was entitled to have his way with her, that legacy dies hard. Hard. It engenders lasting mistrust, fear, hatred. Officer Wilson’s vivid grand jury narrative of Michael Brown charging his police cruiser even through a hail of bullets is the South’s worst nightmare, conjuring memories of slave rebellions that saw white planters and their wives slaughtered in their beds, their babies butchered in their cradles. It happened. It didn’t happen often, but it happened. And so now I take a deep breath and give thanks to a semi-forgotten, long dead former British military officer (although he still rates a fairly extensive bio on Wikipedia) for sparing me all that. As an expatriate American who still celebrates American Thanksgiving, as well as Canadian–you can never have too much turkey, after all–I will raise a glass and propose a toast to your memory at the family dining room table today, John Graves Simcoe. And you’re the bad guy? Only in Hollywood you say? Pity.